Jet hand dryers spread dangerous bacteria around bathrooms and are significantly less hygienic than traditional paper towels, scientists have found. An international study in hospitals established that modern dryers create an aerosol effect, blasting E. Coli as well as traces of faeces and the bacteria responsible for septicaemia onto surfaces. While the devices can often be activated without being touched, which is supposed to improve hygiene, they are problematic because people fail to properly wash their hands, the experts said. This leaves harmful bacteria on the surface of the skin ready to be blown around the room. By contrast, paper towels absorb the bugs better, preventing other people from becoming exposed to them. Published in the Journal of Hospital Infection, the study, the largest of its kind, was partly carried out at Leeds General Infirmary. Department of Health guidance says air dryers should only be placed in public rather than clinical areas of the hospital, but only because of concerns around the noise. The study authors wrote the rules on the use of jet dryers need to be strengthened on the in the light of the new evidence. "The problem starts because some people do not wash their hands properly,” said Professor Mark Wilcox, who led the study at the University of Leeds. "When people use a jet air dryer, the microbes get blown off and spread around the toilet room. "In effect, the dryer creates an aerosol that contaminates the toilet room, including the dryer itself and potentially the sinks, floor and other surfaces, depending on the dryer design and where it is sited. "If people touch those surfaces, they risk becoming contaminated by bacteria or viruses. It's kind of ironic how you trade health concerns for environmentally friendly. Most places use jet dryers to save on paper towels but it also defeats the point of washing your hands (for sanitation purposes and prevent the spread of diseases). What's a better solution? 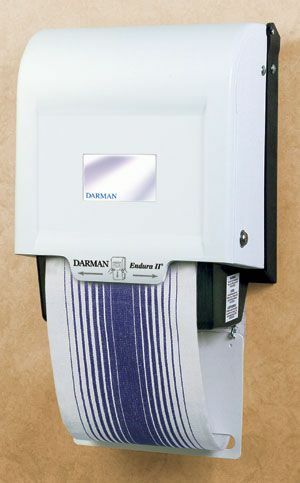 I remember back in the days when some restaurants would have these huge rollers of towels, and you would pull it down like a paper dispenser, except it was just a large roll of cloth that kept going. I doubt that is a great idea, but I wonder where those went haha. One thing in the 80's I did not Miss. How often are these towels washed and how are they washed? That's pretty interesting. I just know they disgusted me quite a bit. I really only remembered finding them in Chinese restaurants haha.